This was really frustrating. At first it was great. It has lots of great features. But there is one thing that ruins it all. That is the fact that it is rechargeable. This seems like a good feature, but it is terrible because: a) you can only use it from the battery. If the battery is dead, you can't use it at all. b) It takes hours to charge. c) It doesn't hold a charge for very long. It will konk out on you in the middle of a project. And to top it off, d) Even when it is fully charged, it has very little power. It is not strong enough to do tough jobs. It has nowhere near the power of a corded drill. If you are like most people, you won't use this everyday. Just from time to time, when you have a job to do around the house. It could be weeks since the last time you used it. You will always find the battery dead. Eventually, it won't even accept a charge at all. Now it is useless, because the battery is not replaceable. 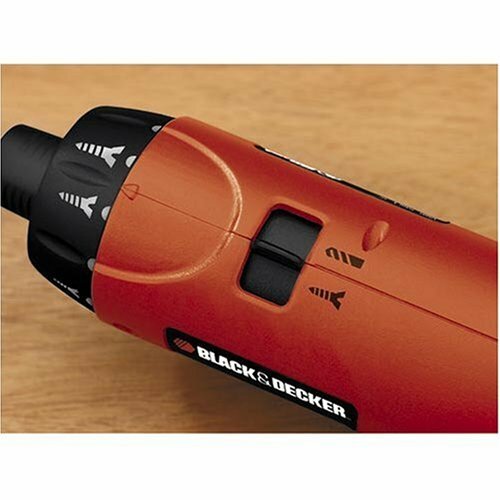 To be fair, the problem isn't Black & Decker, it is the battery technology. But do yourself a favor. Don't buy any cordless tools. Even for a lightweight housewife, this screwdriver is TERRIBLE. 1. For the first 5 uses, it can't hold a charge for longer than 20 minutes. 2. After the first 5 uses, all power is lost. You have to charge it AT LEAST 24 hours prior to use for at least 12 hours otherwise the screwdriver won't even come on. 3. Cannot drive through wood at all, I have to MANUALLY finish driving in the screw with my own hand once the screwdriver gives out. My mother bought one soon after she gave this one to me and even though she only hangs pictures and other light duty things, she experienced the same problem. We've both chucked them out. 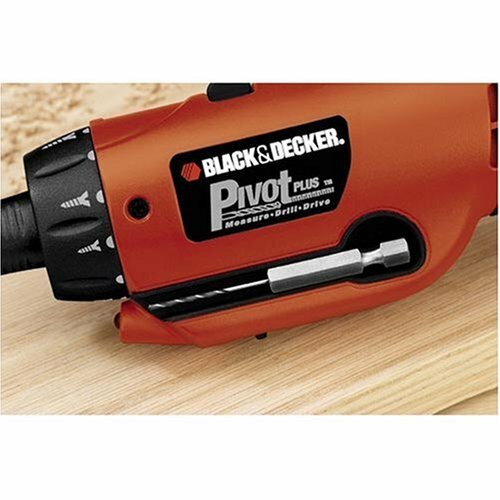 This screwdriver is an embarrassment to Black and Decker. I have had this device for about a year. Its battery cannot hold a charge. The drill is never functional when I want to use it. I have to plan several hours ahead. Whoever schedules a pick-up-and-use tool 6 hours ahead? The only option would be to leave it plugged in all the time. I do not fancy that. Am I missing something? Otherwise it works well. 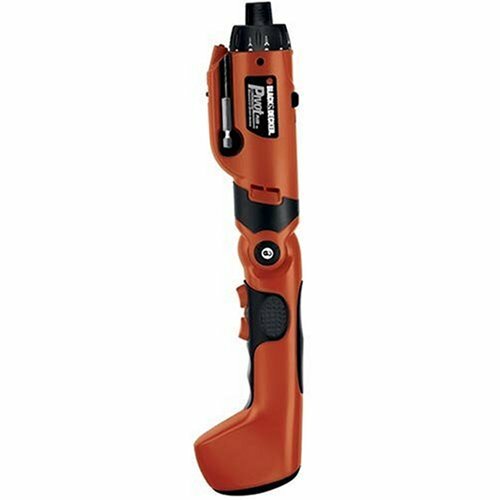 However, I can only recommend the drill to those who are going to use it every couple of days - before the charge drains. I have not used this tool enough to be able to rate it. However, this is the only place I know to voice my frustration, and rate the B&D customer service. The packaging is most user unfriendly I've encountered (minor irritation). Written instructions for charging have the port in the wrong location, (say it's at the bottom of the handle - actually at the top, which is covered with the handle in the "as shipped" position (irritation building). Went to register on-line... filled in form... received message that the time had run out, close browser and try again. That's all I can get after a number of hours over several days and months of trying, (irritation at boiling point). Tried to contact them by e-mail... struck out again. Black and Decker customer support receives a "0" rating from me. 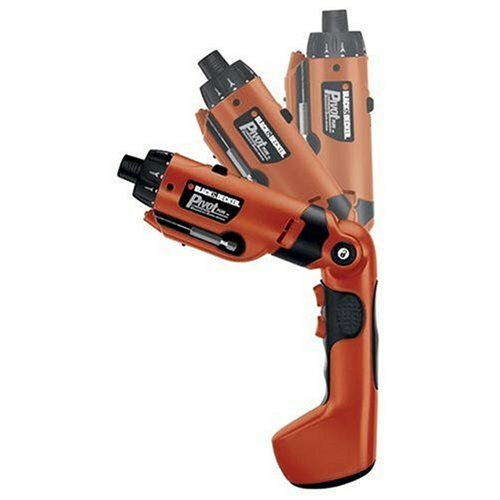 A little big to fit into my toolbox, but it is powerful and does the job! You cannot replace the battery!!! This worked on a very light work load--maybe every few months on a small DIY project. After less than two years, it will not hold a charge and is totally useless. We get what we pay for, folks, and Black & Decker apparently knows a lot about making cheap tools. I'm buying my 5th of these today. The history is this: I bought one for myself. It was so awesome that I bought two more for gifts for friends. In less than 90 days, my battery died. I took it back to the retailer I had purchased it from and got a replacement. That was 18 months ago. The battery on that one just died and so I'm buying another. For the record, both of my friends' batteries are still fine. The 50% failure rate for me is pretty frustrating, but the product is so excellent (and cheap) that I'm willing to overlook it and buy another one. And for those who note that the tape measure no longer comes with it - it was a cheap tape measure and you're not missing much. 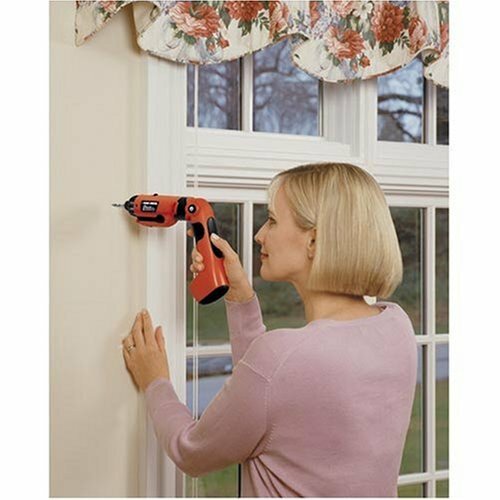 I love this drill for all my household projects. It is much easier to handle than a full sized drill in tight spaces. I work on computers for a living, and this tool is the handiest ever. Battery lasts for days, remarkable torque, very functional clutch. I get these for all the techs that work for me. 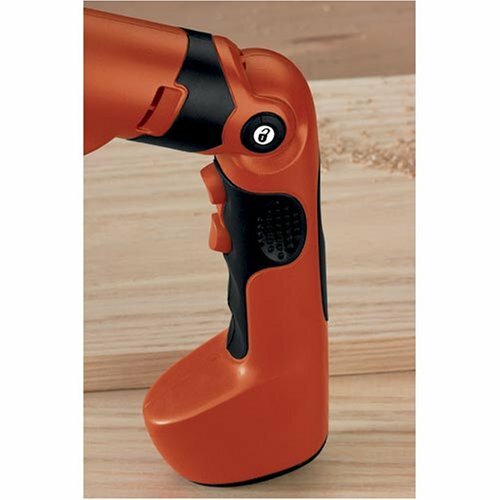 The B&D cordless screwdriver is perfect. It does everything that is advertised. 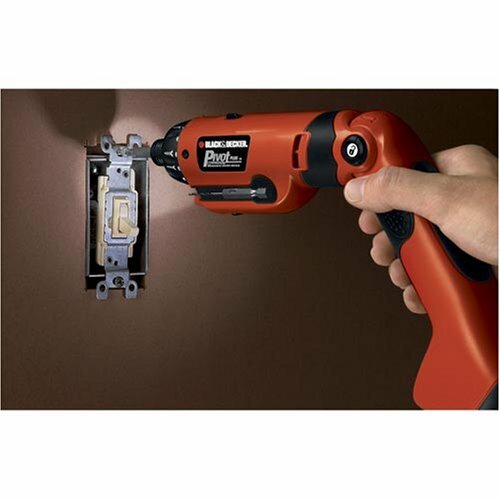 The battery life is long, and the drill has many different speed settings for different screws. There is a light on the drill for night visabilty but it is not the best. I would recommend this product to others. I like the features, but the one I got was poorly constructed (even "felt" that way compared to the craftsman 3.6v it was replacing). The task light would turn off intermittently during use, and the speed-selection switch wouldn't always engage properly. I like the features of this screwdriver (except the quick-release collet), but the one I got was poorly constructed...it even "felt" that way compared to the craftsman 3.6v it was replacing. On the B&D, the task light would turn off intermittently during use, and the speed-selection switch wouldn't always engage properly. I got the craftsman 7.2v instead, and it's great - solid construction, comes with a case and some screwdriver tips, and only a few bucks more. I've had bought one of the screw drivers from a local store about 3 years ago and wanted to buy another The store no longer carried them so I went to Amazon and happen to find another. One of the best battery drivers I've ever own. I have bought me another and two more for gifts. 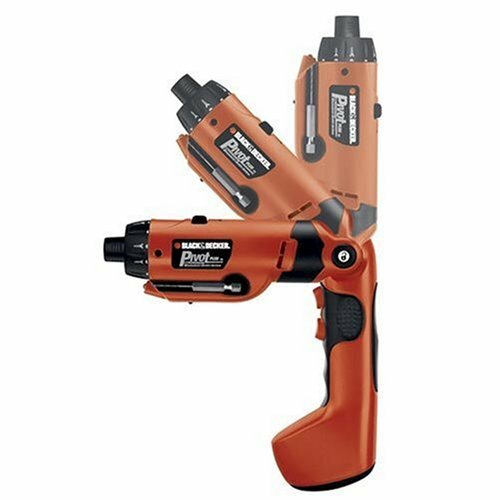 You will not go wrong buying this drill/driver. 1. The transmission that changes the speed from "drive" to drill" is on the top and is very easy to bump, knocking the gears from one setting to the other, or into neutral. Also, you sometimes need to spin the motor for a second to get the thing into a gear. 2. The switch on the LED light can be defective. On my model, it frequently gets into a mode where it's impossible to turn off! Only repeated jiggling gets it off. Annoying, and a dealbreaker if it gets worse. 3. The included drill bit is really cheap and dulls very quickly. 4. As others have noted, there's no tape measure in the handle, contrary to the description. No biggie. 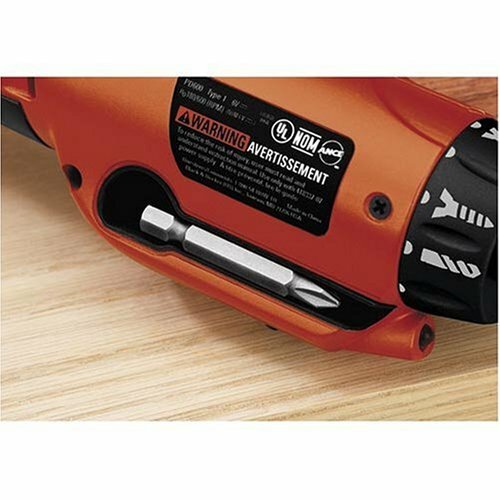 This drill did perform satisfactorily light household tasks a few times it was used. I had used this very sparingly, about 4 times in 2 years. Recently when I took it out of the toolbox it didnt turn on and attempts to recharge it didnt work either. It is dead. 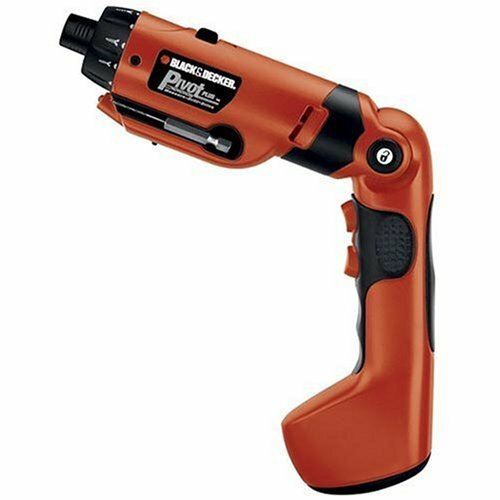 A Great cordless screwdriver ! This 6 volt PD600 is far better than my old 3.6 volt Black & Decker. The battery lasts a long while and it has double the torque of my old cordless. Also, the rocker trigger for forward and reverse is very convenient. 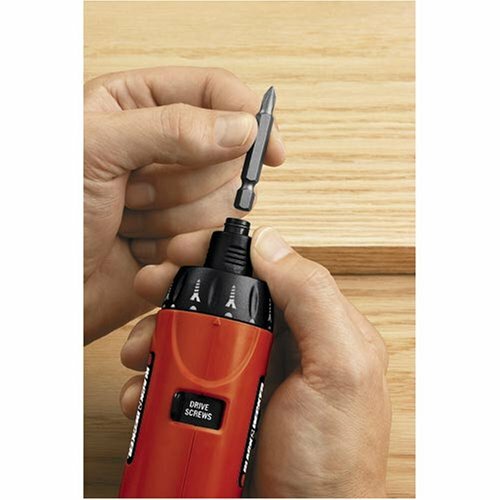 The locking bit also is a good feature as it keeps the bit or drill from being pulled out of the screwdriver. Very neat screwdriver with the right idea but needs some work. Weight is a bit heavy and can only be locked into like three positions. Should have more lockable position like 5 or 6 in my opinion as the 3 lockable positions are so close that the angle is almost the same. Doesn't even lock in a 45 degree. Should lock at that and more positions. The light feature comes in handy. Alone thing is it is a very dim orange amber color light. Should of made it a brighter whiter light or use two bulbs instead of just one. I like the two built in screw bit holders at the top which is very handy. 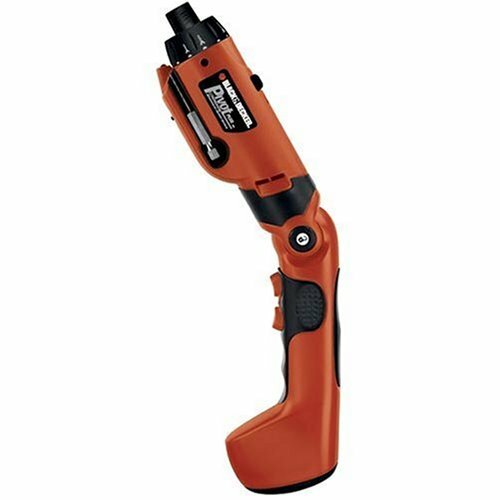 The quick release system and the screw driver and drill switch is handy and useful as well. All in all a very good device with some needed improvement. For the $20 bucks I paid you can't find a better deal at that price at any store. I've had lesser Black & Decker models that I've worked to death. This one never worked right. On the lightest torque setting it never released and would strip out screws if not careful, yet on the heaviest setting it never had enough torque to remove the average screw. What did I expect for $20 right? I like it for small work around the house but it will not hold a charge. As long as you leave it on charge it is okay. If you leave it a couple days in a drawer off charge it goes dead. I should've known that 6 volts was too little, but I had no idea how powerless this cordless screwdriver is. 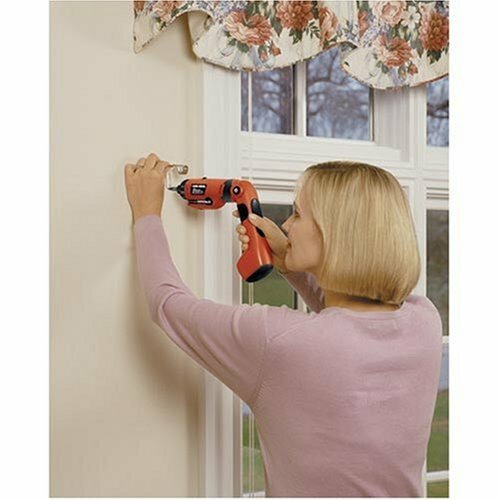 Can't even drill a screw into the wall (plain old drywall) with it--it was easier to do it by hand! a) Black & Decker typical quality, that is rather plasticky. Skimpily rubberized which is a major problem for setting torque (very hard to turn) and unpleasant as far as general handling is concerned (even cheap manual screwdrivers come fully rubberized these days). 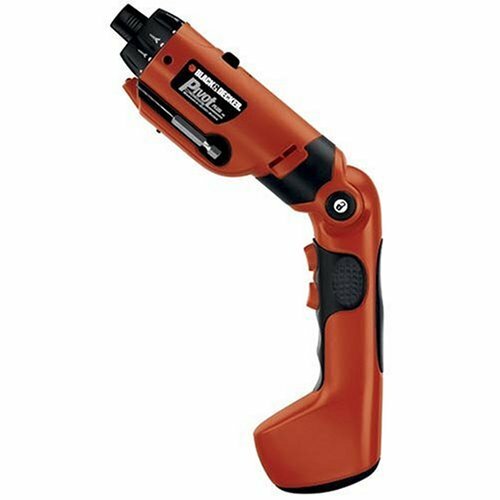 b) I have a big 18V cordless with something like 23 torque positions that are easy to set. The most sensitive is gentle enough to use on electronic components, the minimal torque setting on this unit is so high it will crack most wall switchplates. Plus turning that torque collar is a major effort. d) the unit is way too big, ungainly really. f) the manual for my unit and some reviewers here talks about a built-in tape measure. This is not true anymore, no tape measure in the current unit.